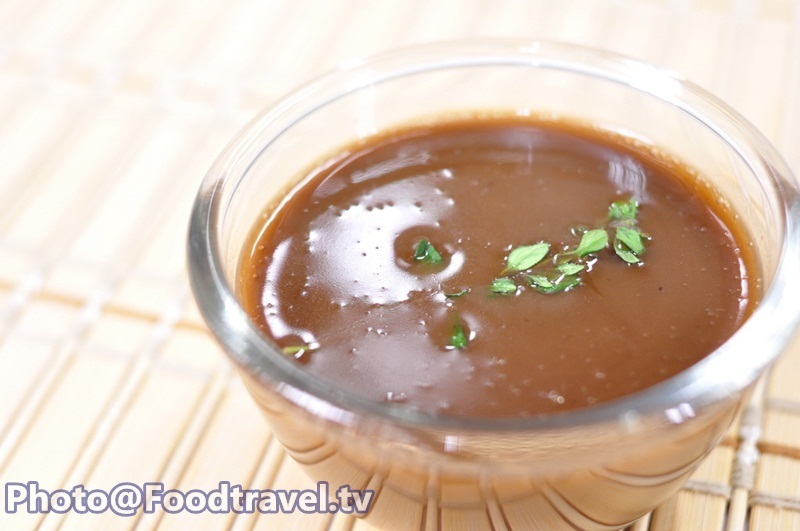 Gravy Sauce or ‘Demi-Glace Brown Sauce’ is a sauce for classic meat dish or a steak. Some people might call ‘Gravy’, golden brown thick sauce with intense flavors. Just put this sauce for more delicious on your favorite dishes. 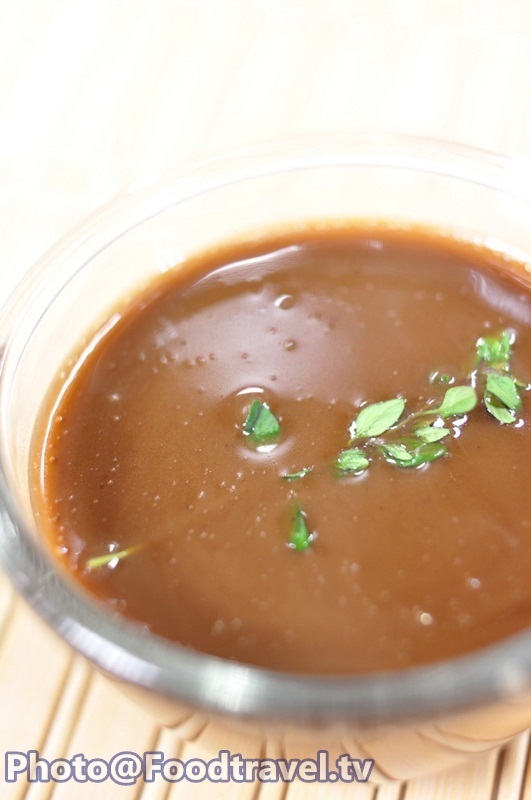 Gravy Sauce or ‘Demi-Glace Brown Sauce’ is a sauce for classic meat dish or a steak. Some people might call ‘Gravy’, golden brown thick sauce with intense flavors. Just put this sauce for more delicious on your favorite dishes. 1. Fry scraps meat in the pot to get brown color. Then add all the vegetable (cut into dice) and fry together. 2. Stir until vegetables soft (don’t let the bottom of the pot burn), then add Thyme, bay leaf down and fry together. 3. Pour red wine. Then scrap brown stain in bottom of pot and at side all out. 4. Pour beef stock down. Heat the fire, and then reduce to light. Simmer until dry out and remain half. 5. Filter in another pot. Simmer with low heat until dry out and remain half. 6. Add cold unsalted butter, beaten with muzzle until smooth and season with salt and pepper. You should season at last only, and you will get the real taste of sauce.